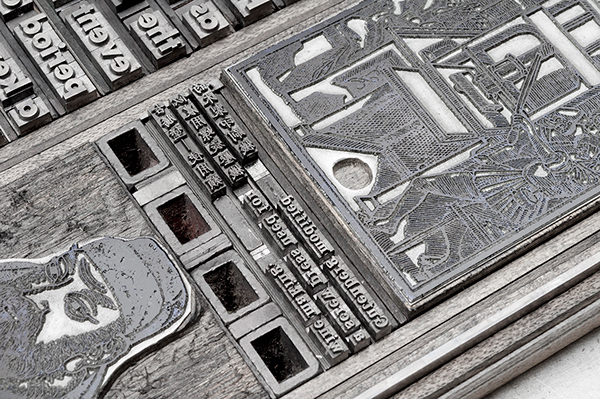 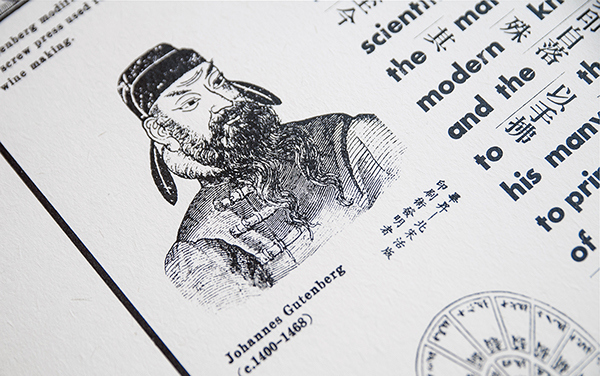 "Dream Pool of Gutenberg" is an experimental letterpress print that tells the story of movable type from two historical perspectives. 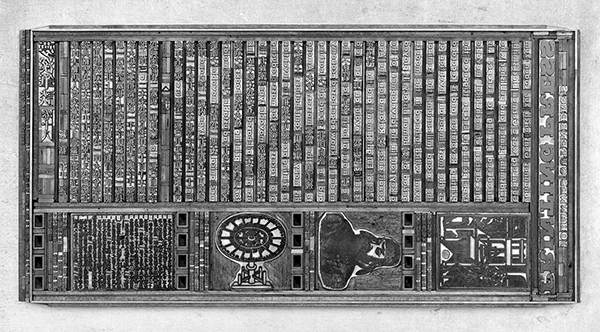 This print uses two scripts, the Roman alphabet and Chinese Characters, to represent Johannes Gutenberg and Bi Sheng, who are both credited as the inventors of the printing technique that changed the world. 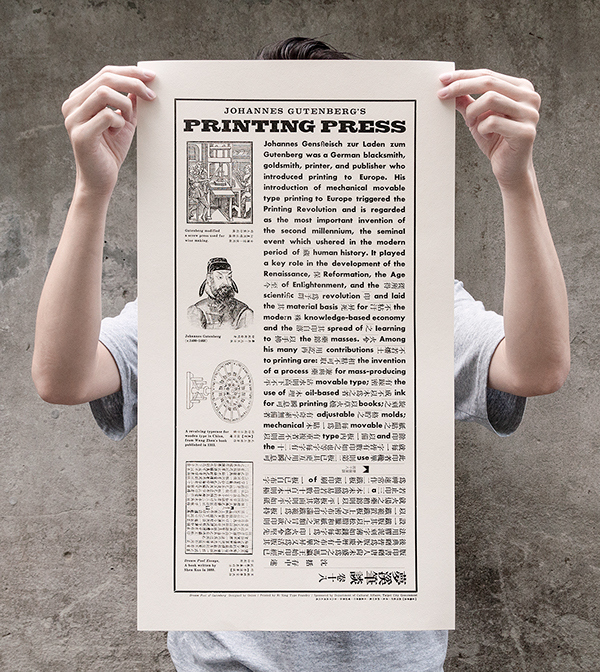 When held vertically, the print can be read in English, with the text flowing left to right. 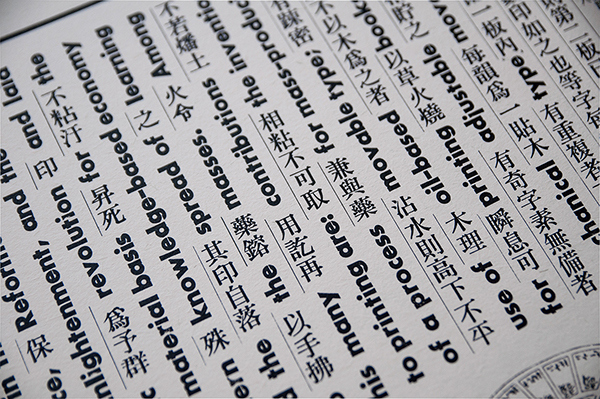 However, the reader must turn the page on its side to read the Chinese text, which flows from right to left and top to bottom. 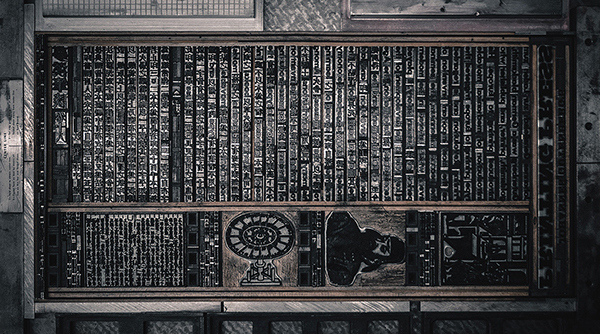 The English text offers a short biography of Johannes Gutenberg and an overview of the impact of his work. 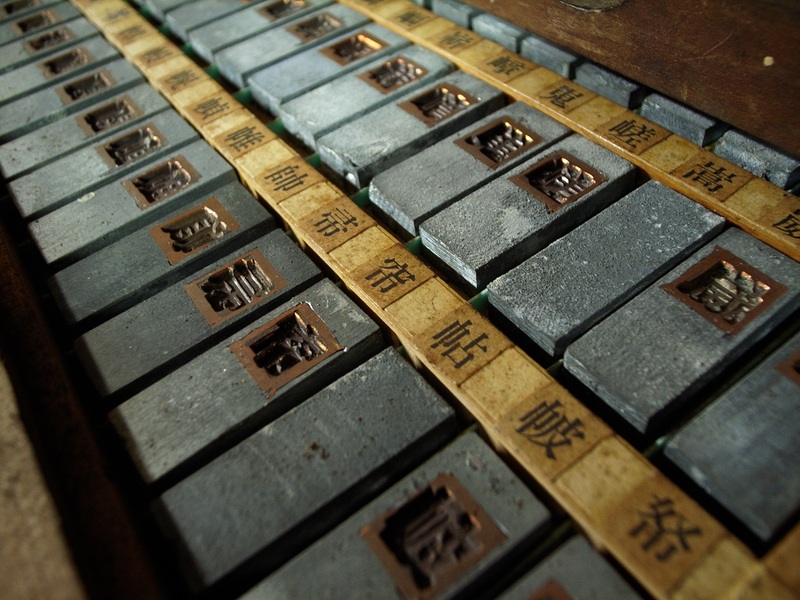 The Chinese text is an excerpt from "Dream Pool Essays," by the scholar Shen Kuo, who provides the earliest written account of Bi Sheng's invention of a movable type between 1041 and 1048 AD. 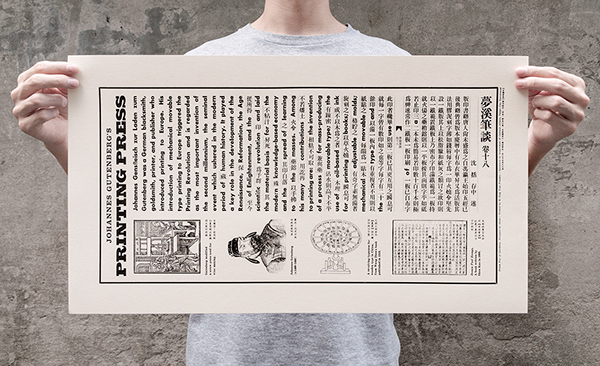 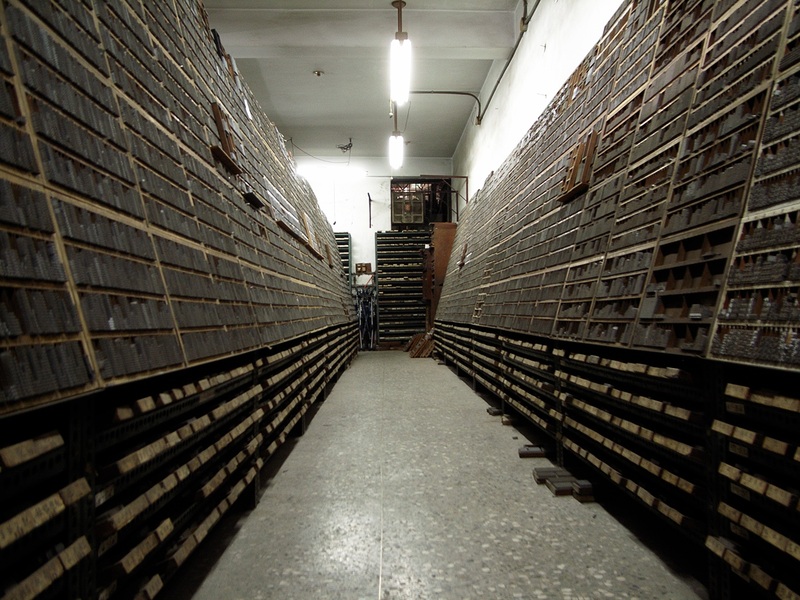 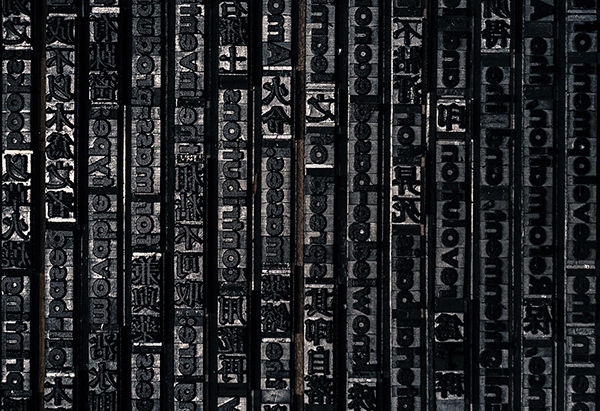 We wish for this work to serve as a metaphor for the competing narratives between East and West with regards to the history of movable type and the printing press. 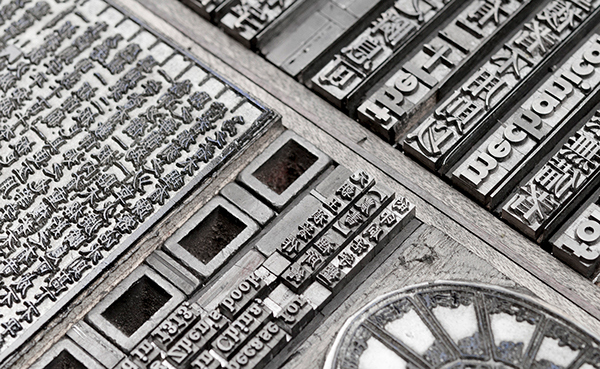 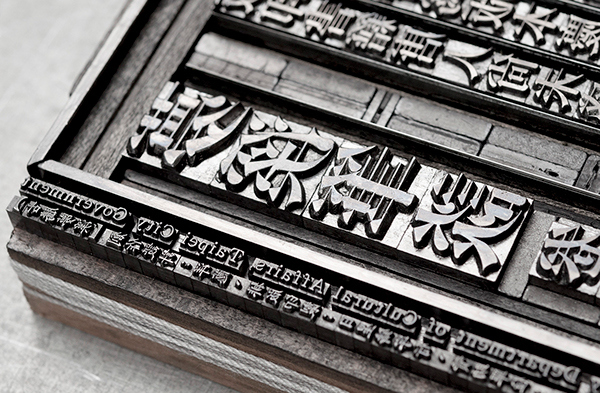 Most of all, we hope that print and typeface enthusiasts will enjoy it. 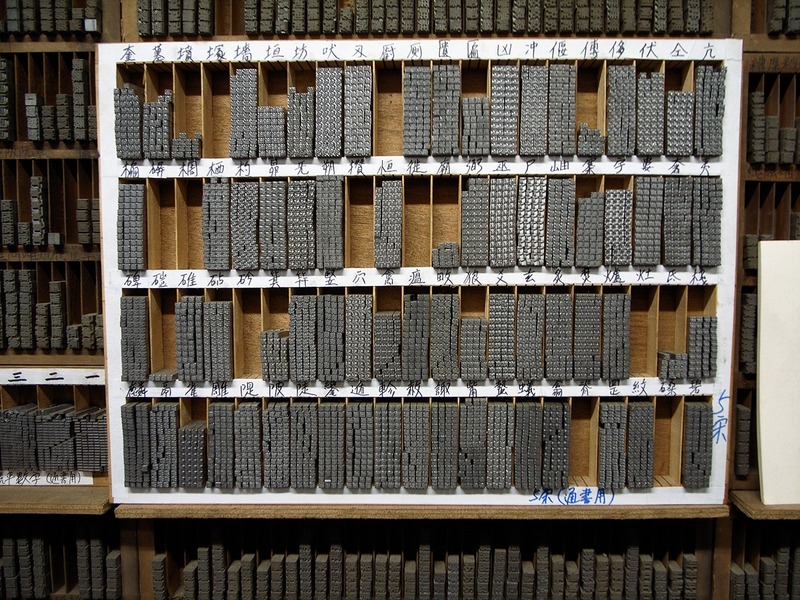 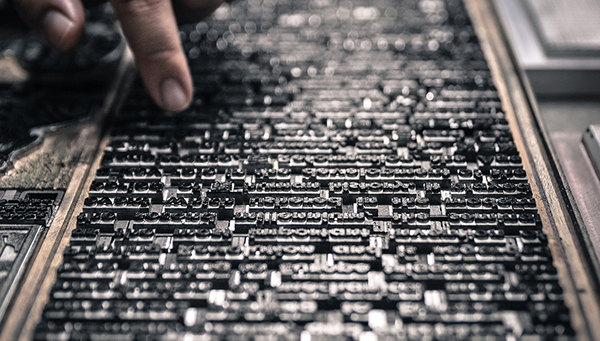 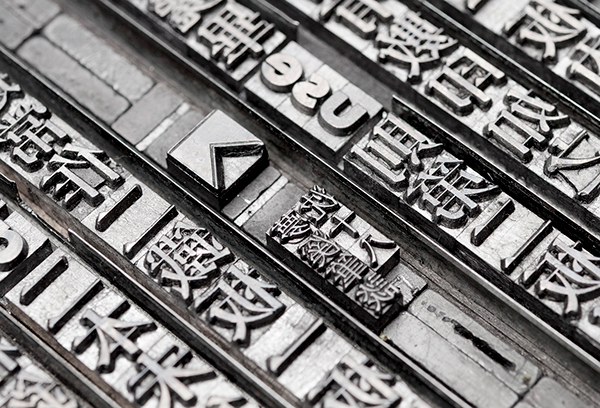 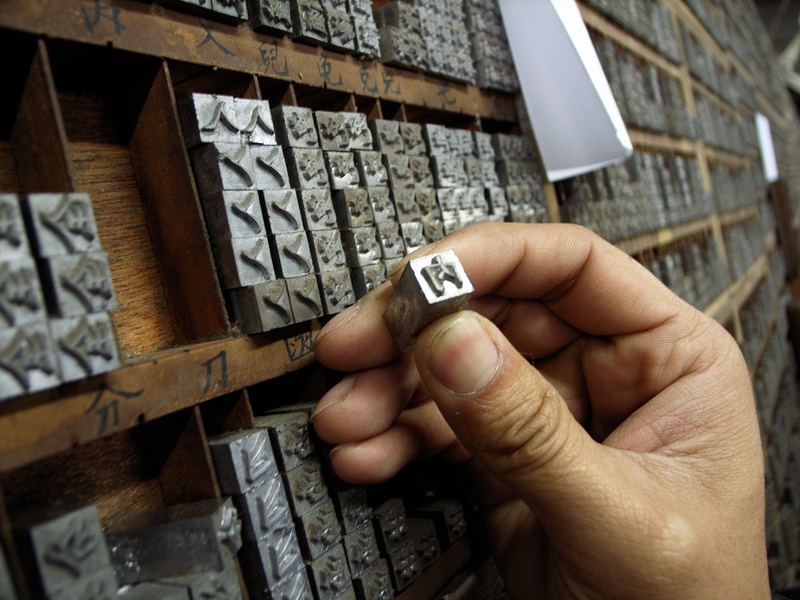 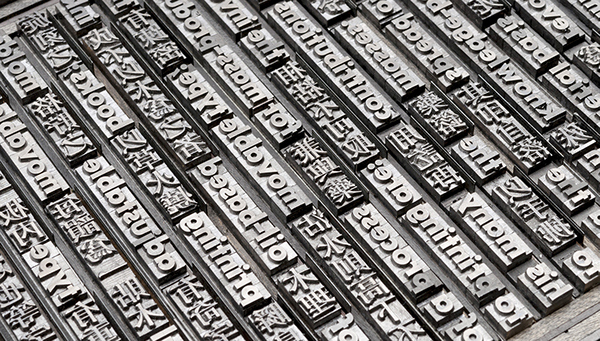 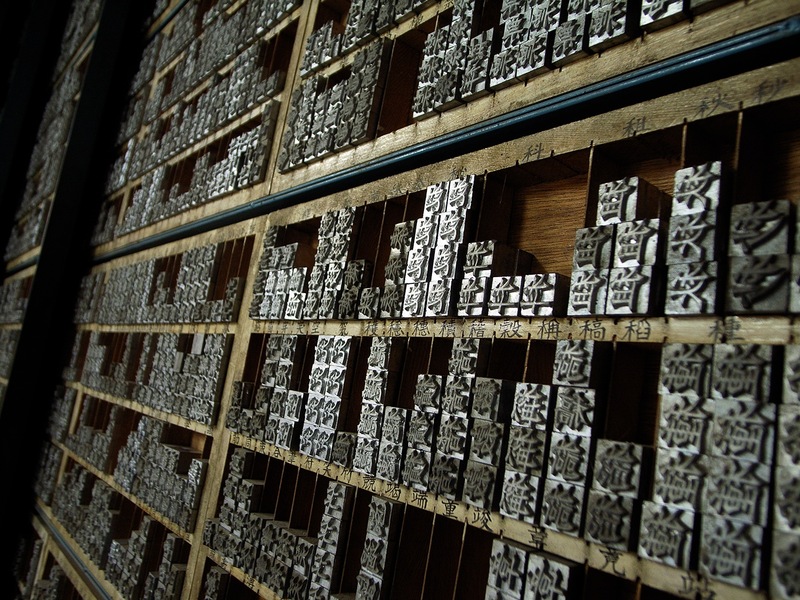 An letterpress print, type set and printed by all movable metal type in both Chinese and English characters mixed together.